Videocon has introduced a power packed smartphone — Krypton3 V50JG with 4G VoLTE network support. On its specifications front, Videocon Krypton3 V50JG comes with a 5-Inch HD IPS display coupled with scratch-resistant DragontrailX Glass and a 2.5D Curved glass. The smartphone is packed with a Mediatek 64-Bit 1.3 GHz Quad Core processor with 2GB RAM, 16GB internal storage expandable up to 64GB. It runs Android 6.0 Marshmallow out-of-the-box. On its camera front, Videocon Krypton3 V50JG comes with a 13MP snapper featuring dual LED flash, Smart Wide Dynamic Range (SWDR), and Phase Detection Auto-focus (PDAF). There is also a 5MP front camera with LED flash for clicking selfies. A 3000mAh battery with 20% faster charging completes the package. On its connectivity front, Videocon Krypton3 V50JG supports 4G VoLTE (Voice-over-LTE) along with other generic connectivity options such as Bluetooth, GPS, Wi-Fi, Dual SIM, and FM radio. 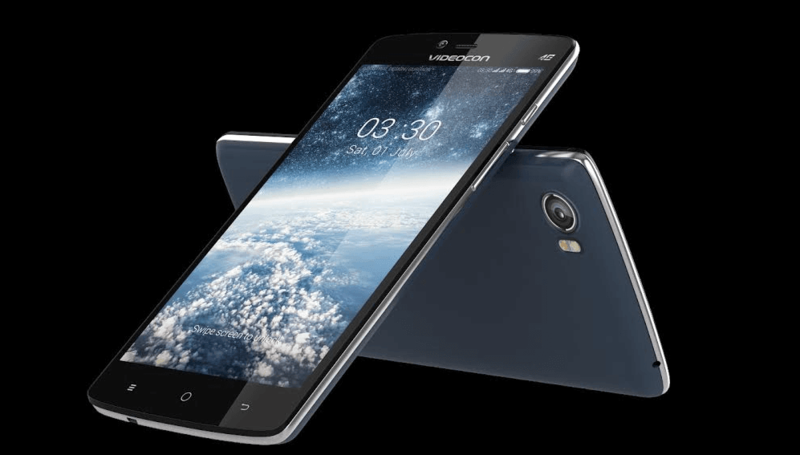 Moreover, this new Videocon smartphone comes with pre-installed ErosNow app with a free 6-month membership to over 3000 movies and music videos. There is also free games on Gameloft app. Smart gesture support, 5-Multi Touch Point, Swiftkey keypad, etc. are added features. The smartphone will be available in blue colour at a price tag of around Rs. 10,000/-.